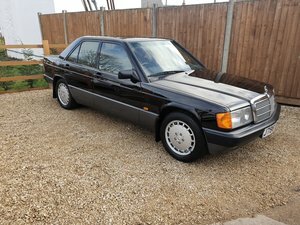 Considering this superb 1991 Mercedes 190D has not been restored, its general condition is outstanding! 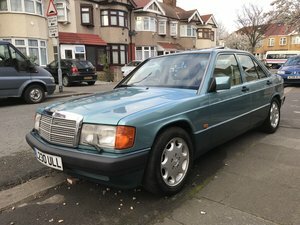 First registered in November 1991 its one and only registered keeper change came in January 1994 and that gent owned it until with age increasing and being over 80, his bad leg just would not let him drive a manual car any more so an equally, in fact probably more painful decision was taken to sell his “Merc”. 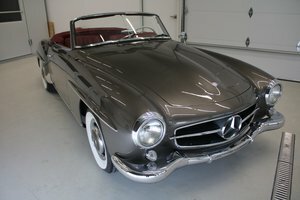 To say this car has been well maintained would be an understatement, every one of its 194 thousand miles are documented in its service book by Mercedes and when the book ran out of room, a separate section was added, even the renewal of brake fluid and coolant sections are fully stamped up, you just can’t buy this history! The diesel motor under the bonnet sounds like it is just been run in, starts easily and with no untoward rattles or smoke. Mechanically this car feels excellent throughout. Gearbox works smoothly, clutch engages correctly and being a 5 speed manual, makes the most of the engine with well-spaced ratios. Brakes etc are all excellent. We all know that the 190s build quality is second to none and you would never believe this car has covered nearly 200,000 miles! 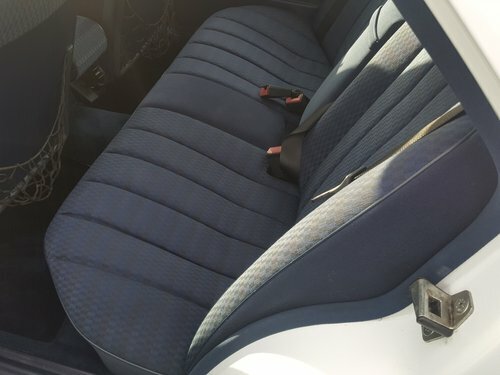 One thing you cannot get away with is while the rest of the interior is excellent, the famous “Drivers seat bolster ware Fairy” has struck and while not being too bad yet, will need to be repaired sooner rather than later if you want to make perfect. 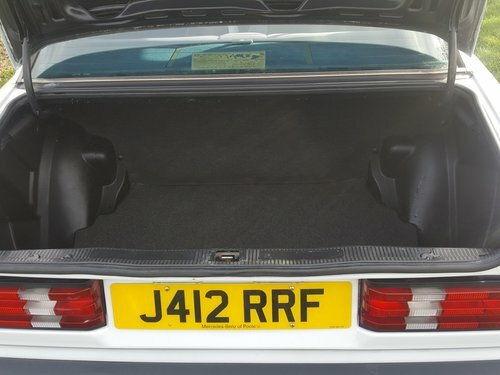 While being devoid of any electric windows (less to go wrong) it has the optional electric roof that works well and an aftermarket CD player (un-tested). 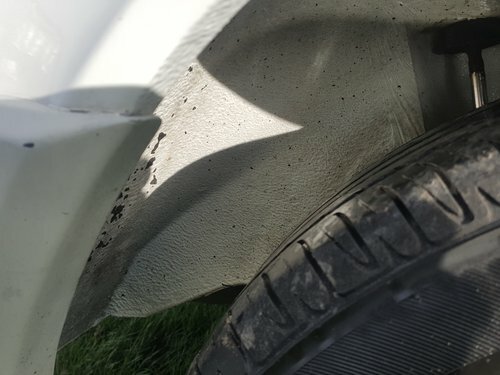 Exterior is very very good and virtually rust free, there is however the odd mark here and there, nothing nasty and unless you were going to want to restore to new, you probably would not bother. 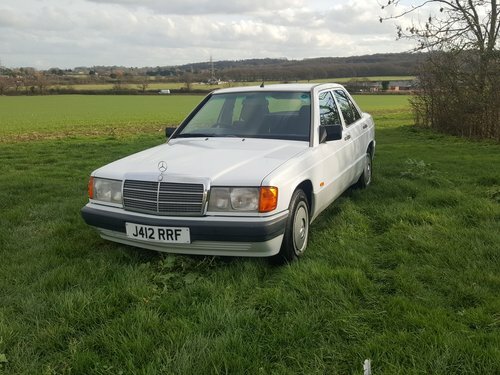 With the paperwork is an extract from the October 2017 edition of the Mercedes Owners club magazine where this car was voted “Car of the Month” (yep its that good) and also the current MOT through to August 2019. 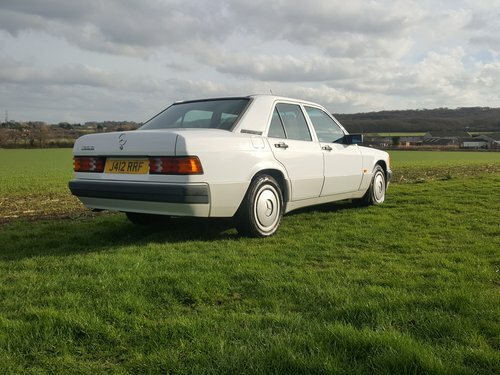 So if you want an excellent example of one of the fastest increasing in value cars on the retro and classic market today, one that is not a restored rust bucket or trailer queen but one you can be proud of and use it, this 190D has to be worth a look. 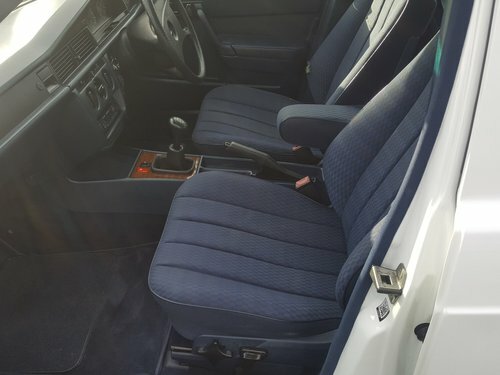 NB: Previously registered as xnt211 if you want to check it history on line. NOTE: Due to the increase in web security on most servers, please after sending an enquiry either place our email [email protected] in your address book or check your spam box, as we are getting many reports of our replies not being received. Thanks.